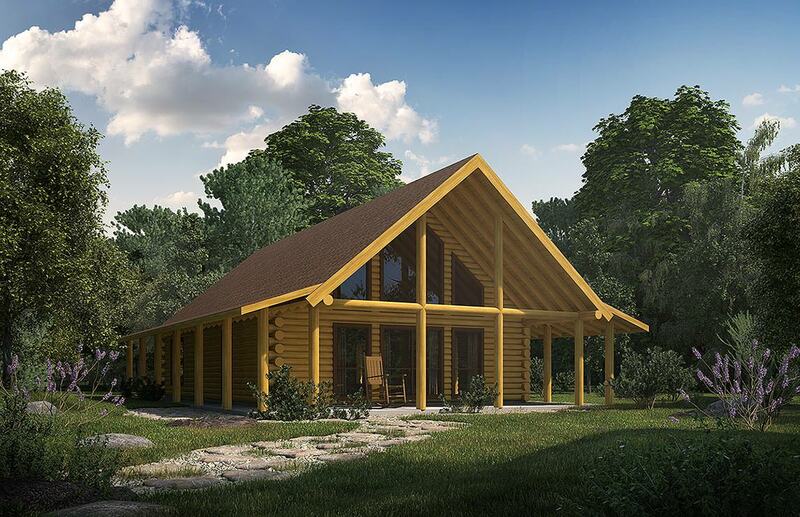 Grandchildren are in season in the Satterwhite family, a fact that holds promise for new named log home floor plans from Satterwhite! Similar in size and outward appearance to our Cason's Crossing plan, Tate's Retreat forgoes the stone fireplace and presents an alternate arrangment of the kitchen, dining, and family room living space while retaining the spacious vaulted ceiling and open, connected design. The comfortably-sized master suite has a private bath and walk-in closet. A half bath along with utility room round out the main floor. Upstairs, there's a substantial 299 sq ft loft space that will prove useful for a wide range of purposes, anything from simple storage to a sewing room or craft space, or perhaps a library or home office.